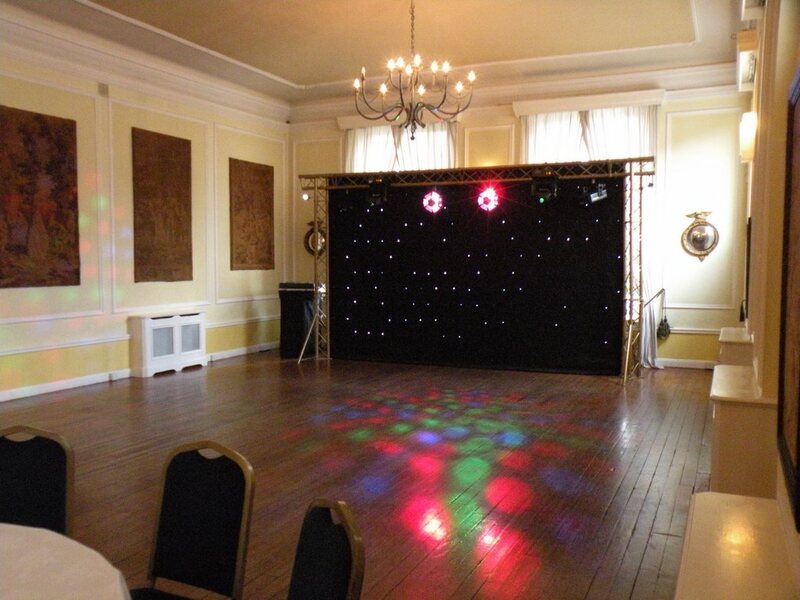 We offer a range of professional standard equipment hire packages. 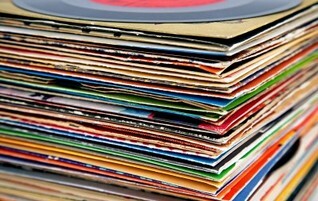 Our service includes delivery, set-up and collection with operating instructions. But we can provide a technician on site if you prefer for your peace of mind. 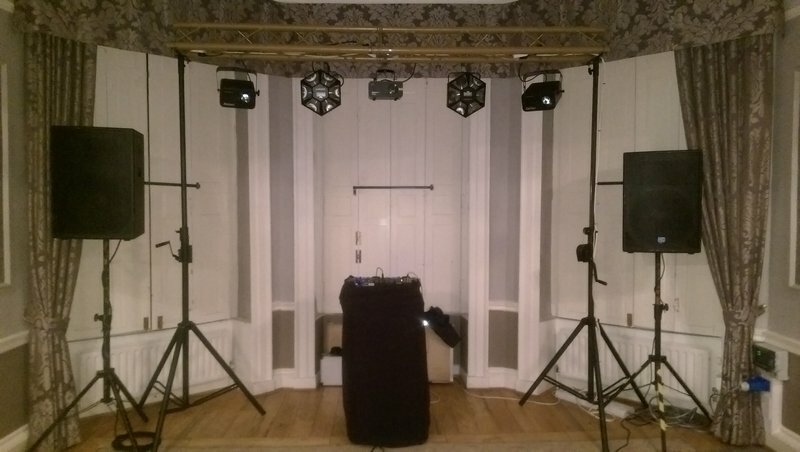 A pair of 300 watt full range speakers on stands with DJ mixer and laptop/iPod plugin lead. 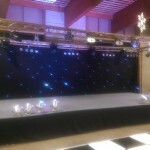 T-bar stand with 2 light effects, all cabling to operate system and microphone supplied. A pair of 500 watt full range speakers with a pair of 500 watt bass bins with DJ mixer and laptop/iPod plugin lead. 5m Tri-Lite trussing system, star-cloth and 7 Light Effects, (2 x LED, 2 x Gobos, 2 x Moving Heads & 1 Laser). All cabling and controller supplied to operate system. 2 x 500 watt full range speakers with 2 x 500 watt bass bins with DJ mixer and laptop/iPod plugin lead. 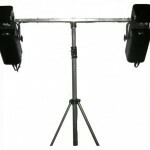 4m or 6m square Tri-Lite trussing system to fit around the perimeter of the dance floor. Tri-Lite trussing also available in different configurations. 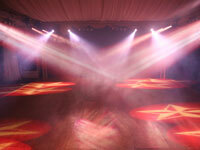 16 light effects, (4 x LED, 4 x Gobo, 4 x Moving Heads & 4 Lasers). All cabling and controller supplied to operate system and microphone supplied. Available in various configurations of tri-lite trussing will surround the stage. This rig gives any live performance that professional edge. 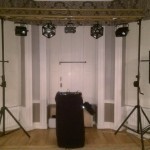 The rig is available with different lighting packages, contact us for more details. 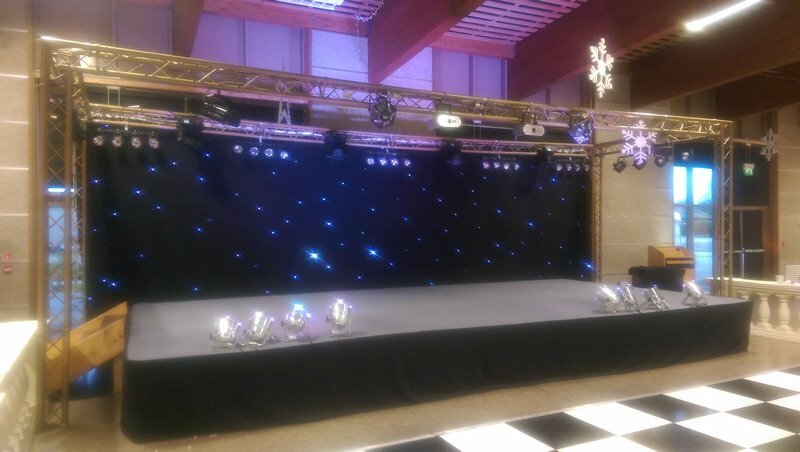 Star cloth backdrop on a 5m trussing frame ideal for use with bands or other performers. 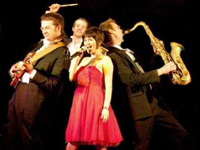 This is a great way to enhance any venue to give that professional stage set appearance. Package also contains 8 RGB uplighters to give you the choice of colour wash to match any colour scheme. 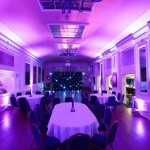 A great atmospheric effect to give your venue a sophisticated look! Our red, green & blue colour mixing uplighters means we can match any colour scheme. 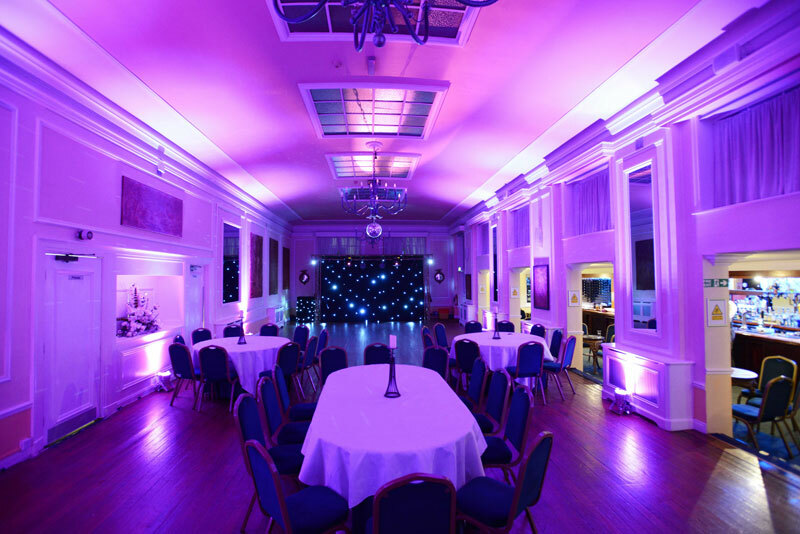 You can choose any colour to wash the walls and ceiling of your venue or to slowly fade between a variety of colours. 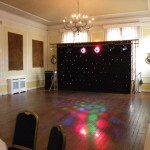 Hire packages from 4 to 40 uplighters available. 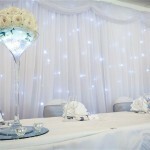 Starlight backdrops are used to cover dull unsightly walls enhancing any venue. 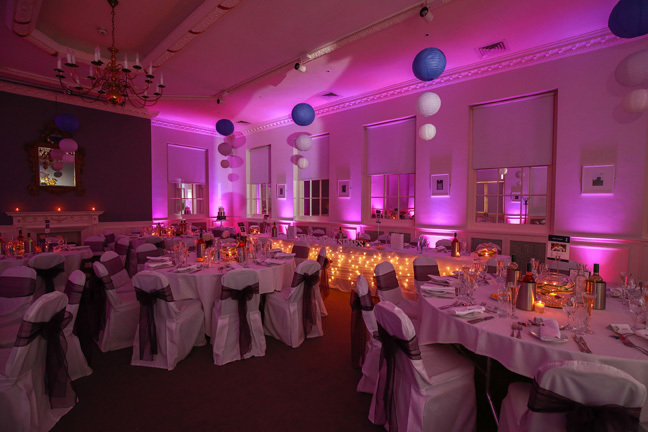 At weddings they are ideal as a backdrop for the top table or at civil ceremonies.